Pioneers in the industry, we offer mineral water plant, mineral water machinery, water treatment equipment and packaged drinking water plant from India. With the support of our skilled professionals and high-end technologies, our organization is engaged in manufacturing, wholesaling, retailing, exporting and supplying Mineral Water Plant. Offered water plant eliminates all impurities such as mud, rust, dust and other micro biological contaminants. The offered water plants are manufactured by experts utilizing finest grade material and contemporary techniques as per the set industry standards. We offer these water plants to our customers at competitive rates in a promised time period. 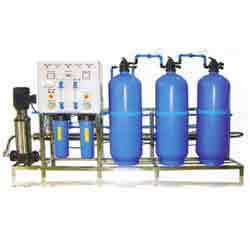 Our organization is engaged in manufacturing, wholesaling, retailing, exporting and supplying of a wide assortment of Mineral Water Machinery. The offered water machinery is developed expertly as per the prevailing market norms using high quality material and contemporary techniques. This water machinery is inspected on diverse parameters in order to supply flawless range. 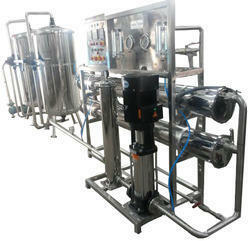 Offered water machinery is provided in varied of specifications to choose from. We are engaged in offering a wide assortment of Packaged Drinking Water Plant, which has a capacity of producing 800 to 1000 pouches per hour. These plants are high in demand due to unmatched features such as perfect finish, robust construction and corrosion resistance.